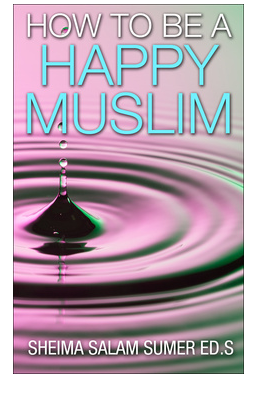 Feel free to contact me, Sheima Salam Sumer, by sending an email to: howtobeahappymuslim@outlook.com. Dear sister, I will send you an email. Please check your email. Feel free to reply me via email if you have any response. Thank you and I wish you a joyful vocation, a happy family and a thriving society. Wa alaikum as salaam Tanvir. Thank you for your comment. I will send you an email insha’Allah. I just want to say that you are amazing for setting this website up. it is truly inspiring and all the compiled quotes and sayings in Islam are so beautiful. May Allah bless you for encouraging my work and for your warm words! Assalamu Alaikum Sister. Last night I have read your ” Tips to Deal with Toxic People from Islamic and Counseling Sources” and I found so much helpful info which is desperately I needed though I need you help more sister. Myself and my husband suffering in deep sorrow. I want to email you or which way would be the great way to explain you everything, it is a very personal matter. Please sister let me know. Wa alaikum As salam dear Sis. I got your email and I will reply soon insha’Allah. Aslm. I read your article on Toxic family members. I am seeking your help, I want to be a happy Muslim, please will you guide me? AOA I am so depressed because i love someone, he is my second cousin and he also really loves me. We were in a relationship for one and a half year. I like him because he is Islamic and because of him i am changing, I’m becoming religious day by day and now we end our contact just for the sake of Allah. Thats why i really missed him and my parents also like him but the problem is that his parents don’t agree. We both are 20 years old and students. I really want Nikah but not possible right now because of his parents. I’m so worried,plz guide me. hello, i a 15 year old muslim convert and i was wondering when the time would be to change my name and what should i change it to? I need your advice on a situation involving my mother. I tried to email you but the email came back to me as a no recipient of that email. Please pray for helPardus urgently verymuch!! advice at your nearest convenience. My email is provided below.